Something is happening in the Kennebunks. People are moving here. Building here. Opening businesses here. Tim Harrington is not surprised. These small towns have always had big heart. At first, I imagined that Harrington’s preference stemmed from an awareness of the mixed feelings that people sometimes have about real-estate developers, especially those who have been as active as he has been. But it takes only a little poking around to realize Harrington’s modesty is more complex, that it hinges on his deep appreciation for the people with whom he works and the communities that have made his success possible. A recent morning finds Harrington, coffee cup in hand, at the Kennebunkport Inn, where builders from Thomas and Lord of Kennebunkport are finishing renovations in preparation for the summer season. The entire downstairs used to be occupied by the restaurant One Dock, and although it’s going to stay, the rooms are being reconfigured to create more social space for guests. Harrington stops to make a decision about molding before praising the man responsible for the woodwork on a fireplace mantle. People are running up the stairs and in and out of the building. A painter kneels in front of a can of paint. Harrington has a clear idea about what will emerge from all this activity. He walks around the work site listing the features that will soon be there: tables and wingback chairs, a terrace with an outdoor fireplace, a solarium. By the new reception area, he indicates shelves intended for coffee-table art books. “You know those books,” he says, “that you always mean to look at, but you never have time for?” He wants the hotel to be the place where you take that time, where you really enjoy. Harrington is in his late 40s, but his manner is all boyish excitement. Outside, the window boxes will be blue. There will be red flowers on the ground. “It is going to be awe-some,” he says, tightening his fists and shoulders with endearing eagerness. Louise Hurlbutt, of Hurlbutt Designs in Kennebunk, stops by with a design board featuring photographs and fabric swatches. 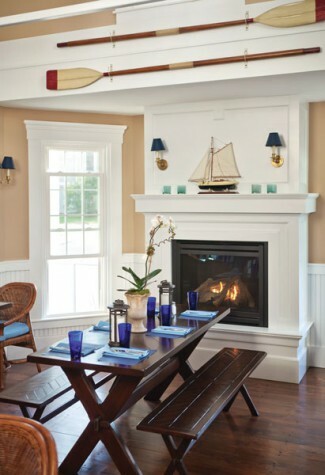 The centerpiece of the bar area will be a 16-foot-long photograph of lobster boats at dusk by Kennebunkport photographer Christopher Becker. 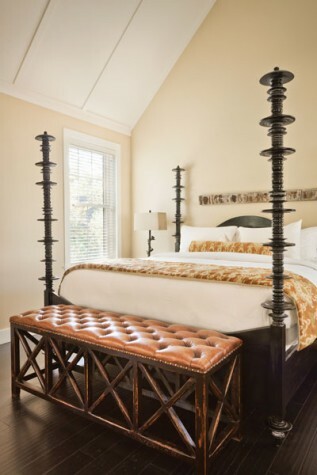 The rooms will have a leather banquette, lacquer wallpaper, and upholstered stools. The palette will be blue and white with a little red. Chic Americana. Down the street from all this busyness, another crew is working on the Grand Hotel, a boutique hotel with shops that will also open in the summer of 2012. Hurlbutt presents a second design board for this project. 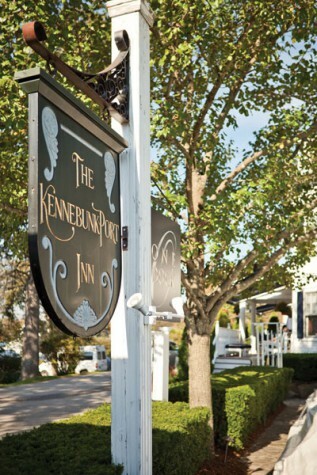 “The Grand Hotel is…grander!” she says, meaning fancier, but the Kennebunkport Inn is quite upscale itself. The difference is that the Grand Hotel will aim for midcentury elegance, with Waterworks bathrooms and a palette of warm beiges, golds, and grays. Harrington’s connection to the Kennebunks goes back to his boyhood. Although he grew up in Lexington, Massachusetts, he regularly visited Cape Porpoise with his family. Even as a young man, he had an interest in development. His best friend’s father was a real-estate developer, and Harrington and his friend used to vacuum the halls of apartment buildings on weekends. Harrington’s friend hated the task. Harrington found himself reading the father’s building management magazines. Harrington’s career started with residential and commercial properties in the Boston area. Not long after, he began building and renovating homes in the Kennebunks, and he estimates that he has completed 25 homes since, 8 of which he’s actually lived in. There have been other significant projects along the way, including Goodall Health Center and Quest Fitness, which houses medical practices, a sleep lab, outpatient facilities, and a state-of-the-art gym that offers 50 classes a week and includes a virtual-reality spin studio. 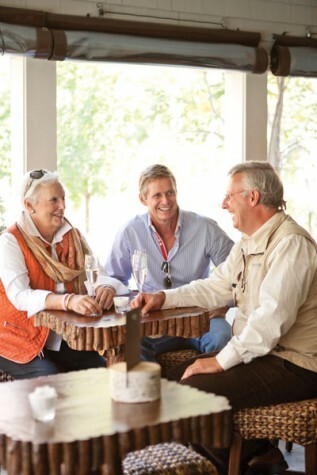 In more recent years, Harrington has turned his attention to the group of hotels that he now owns with Deb Lennon under the umbrella of the Kennebunkport Resort Collection. 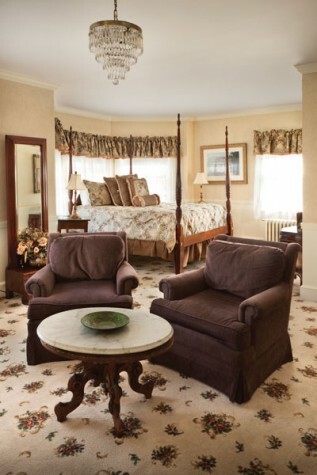 Lennon, he emphasizes, is “the hotel brain.” She worked for Sheraton for 25 years before buying the Kennebunkport Inn and forming a partnership with Harrington. 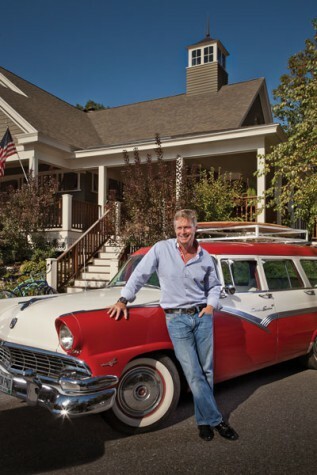 “The only thing I know about hotels is how to stay in one,” Harrington says. 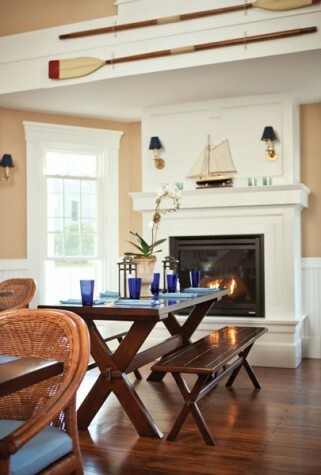 Although uniformly luxurious, each property in the Kennebunkport Resort Collection has its own feel and offers a different experience to guests. Hidden Pond, which consists of 36 cottages on 60 wooded acres, is reminiscent of an old Maine camp, but an old Maine camp with a spa, pool, and a restaurant run by Ken Oringer, a James Beard award–winning chef from Boston. Hidden Pond’s first guests were the wedding party for Harrington’s marriage to his partner, Juan Urtubey. His hope is that the spirit of that celebration will spill over to the present day. “Hidden Pond is a place filled with joy, love, and good times,” Harrington says. The Tides, opposite Goose Rocks Beach in Kennebunkport, is hip, brightly colored, and finished with raffia wallpaper, sisal rugs, and the work of local artists. The cheerful, restful Cottages at Cabot Cove consist of 14 waterfront cabins, each with its own terrace and garden. “I always bring back some of the influences of the places I’ve gone and then reinterpret for Maine,” Harrington says. “I’m always saying, ‘What would the Maine version of this be?’” An example is Hidden Pond’s restaurant, Earth, which takes its design inspiration from Harrington’s favorite restaurant in Uruguay. “I think of myself as a self-taught designer,” Harrington says. 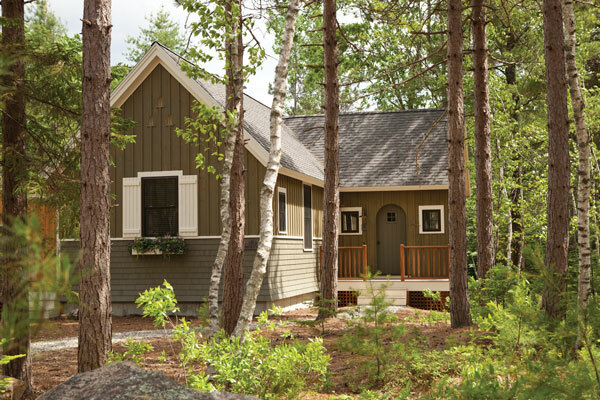 “But not arrogant enough to not use designers.” For Hidden Pond and the Cottages at Cabot Cove, Harrington initially asked different designers to outfit each of the cottages. He then opened the designer showcases for public viewing and held a grand party. The proceeds from the tickets went to the Childhood Abuse Prevention Council of York County and River Tree Arts. Not surprisingly, the line between friends and business partners frequently blurs for Harrington. One of Harrington’s oldest friends is Lori Lilly, owner of Tia’s, a popular waterside restaurant in Boston. For years, she had considered opening a second restaurant, but she wasn’t able to find a space that worked out. 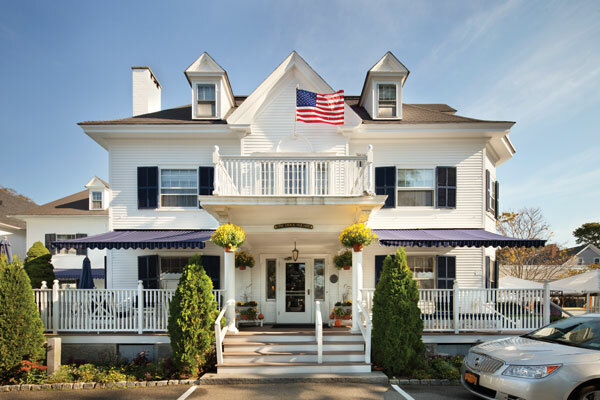 Harrington showed her what he was doing in the Kennebunks, and she says, “I just got caught up in the beauty of it and the excitement and I couldn’t say no.” Her restaurant, Tia’s Topside, is now centrally located in a former colonial home in Kennebunk. The phrase “I couldn’t say no” seems to come up often when people talk about Harrington. He has a clear vision for what he wants, and he knows how to find people who can translate that vision into properties people want to stay in, eat in, and live in. When Harrington sees an opportunity in the Kennebunks—and he has more projects planned, including another hotel slated for 2013—his team makes it happen. Together, they help keep a historic town booming.